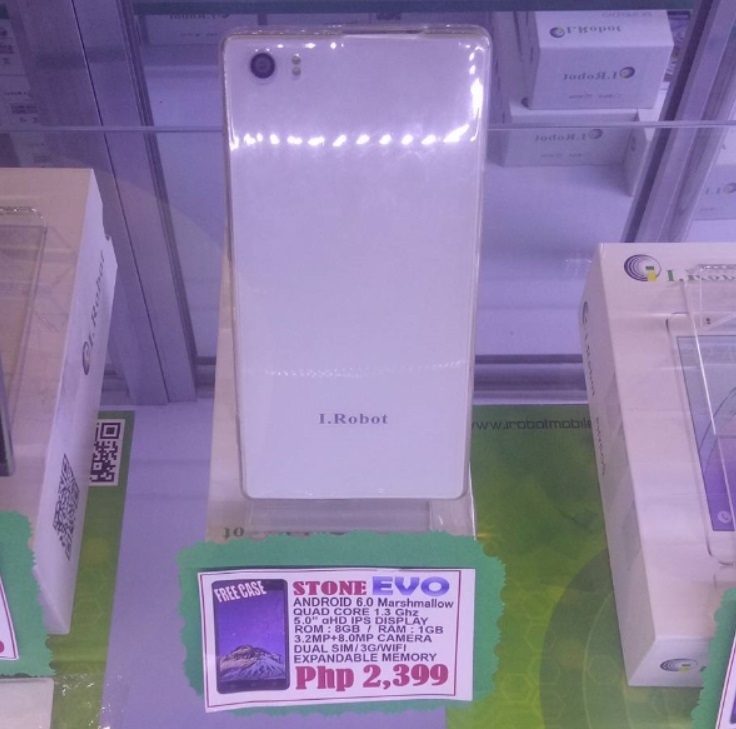 I.Robot, one of the recent additions to the growing number of mobile brands in the Philippines, offers affordable Android devices with good, if not great value for your money, one of which is the I.Robot Stone Evo. The image above was shot at their stall at SM Valenzuela, the booth was a bit busy that is why I was not able to get a proper picture of the unit. But, looking at the tag, we can easily identify its major specifications. The Stone Evo is one of their latest device, featuring 5-inch IPS display with qHD resolution powered by 1.3GHz quad core processor coupled with 1GB of RAM and 8GB of expandable storage. The handset also sports 8MP main camera with dual LED flash and 3.2MP front snapper for taking selfies. The other notable specs are dual SIM with 3G connectivity, WiFi, Bluetooth and runs on Android 6.0 Marshmallow. It retails for Php2,399 and comes with a free case. There are several important details that are missing, such as the chipset used and the capacity of the battery. We will try to reach out with the I.Robot team and update this post once more information is at hand.